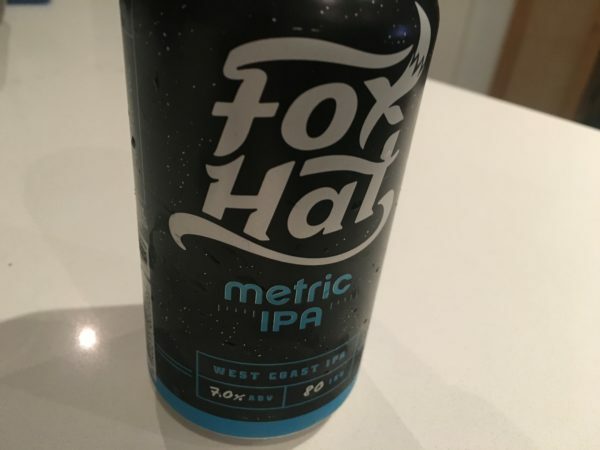 I’ve had four of these Fox Hat Metric IPA now and I like. Love the big cans too. A West Coast IPA style, yet with more malty richness than expected, this is caramel/orange-brown in colour, with a nose that smells obliquely of hops yet with malt as the main palate driver, with alcohol sweetness through the back. West Coast IPA with imperial leanings perhaps? I like the flavour punch here, and I’d go back for more, even if it’s not quite as definitive a beer as the superb Pirate Life IPA. 4 stars. 7%. Best before April 2017.